Valencian paella and grills There are 4 products. Art. 01-40 Polished Steel Paella Pan ø 40 cm. 9 portions.Art. 01-42 Polished Steel Paella Pan ø 42 cm. 10 portions.Art. 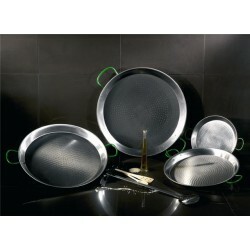 01-46 Polished Steel Paella Pan ø 46 cm. 12 portions.Art. 01-50 Polished Steel Paella Pan ø 50 cm. 13 portions.Art. 01-55 Polished Steel Paella Pan ø 55 cm. 16 portions.Art. 01-60 Polished Steel Paella Pan ø 60 cm. 20 portions. Art. 02-32 Enamelled Paella Pan ø 32 cm. Art. 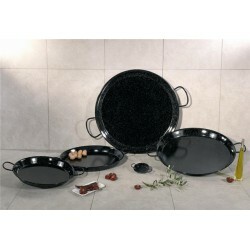 02-36 Enamelled Paella Pan ø 36 cm.Art. 02-40 Enamelled Paella Pan ø 40 cm.Art. 02-42 Enamelled Paella Pan ø 42 cm. Art. 02-46 Enamelled Paella Pan ø 46 cm. Art. 02-50 Enamelled Paella Pan ø 50 cm. Art. 02-55 Enamelled Paella Pan ø 55 cm. Art. 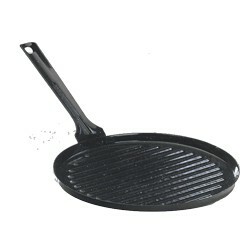 02-60 Enamelled Paella Pan ø 60 cm. Art. 11-27 Rectangular Enamel Roast Pans ø 21x 27 cm. Art. 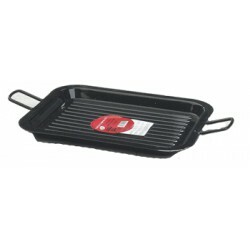 11-31 Rectangular Enamel Roast Pans ø 24x 34 cm.